MakeUseOf reviewed another cool soundbar and subwoofer bundle and they are giving it away to one of their fans! To enter in this Blitzwolf SDB2 Soundbar and SW2 Subwoofer Giveaway grab your free entries by following few simple steps listed down below! 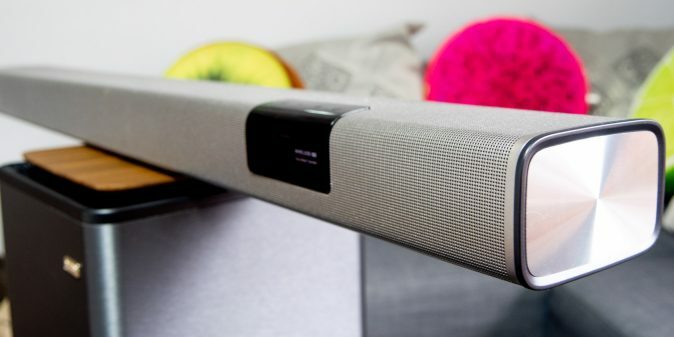 Out of the box the soundbar produces a good amount of bass, but like all soundbars, the physical properties mean it lacks in the really thumping sub-bass frequencies. Physics dictates you need a larger cone to go any lower, and one doesn’t simply argue with physics. That’s why Blitzwolf have added the option to connect the SW2 external 70W subwoofer, featuring a 6.5″ cone and 5.25″ horn. Unfortunately, it’s an addition purchase that actually costs a little more than the soundbar itself.